Re: Getting in the forum loop. Psst, there's a like button now. You will need to be loggin into D forum direct maybe. I never got on with tapashite. Hmmm, I must be being dumb, I can't see a like button on Tapatalk - where is it? 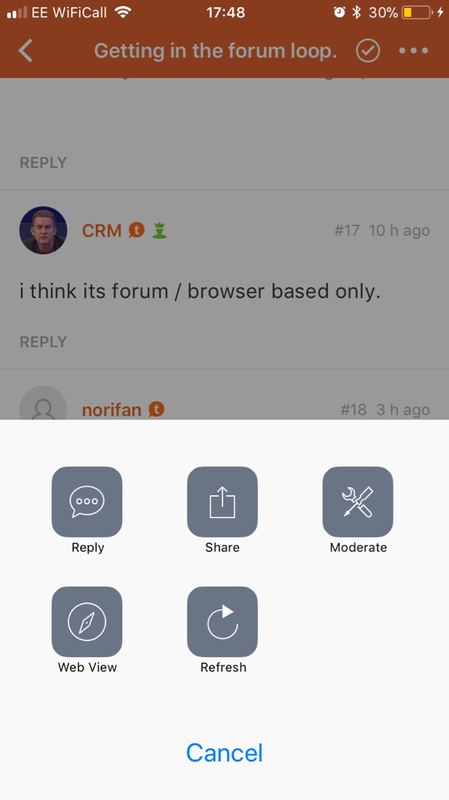 i think its forum / browser based only. 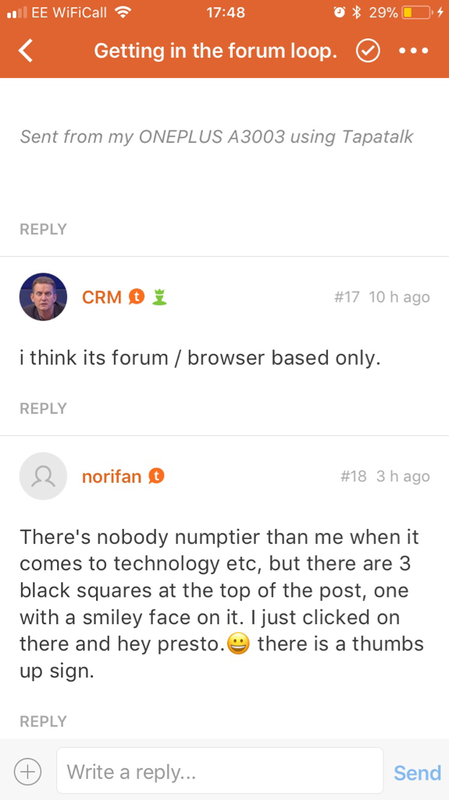 There's nobody numptier than me when it comes to technology etc, but there are 3 black squares at the top of the post, one with a smiley face on it. I just clicked on there and hey presto. there is a thumbs up sign. Cant see any on my tapatalk? Well I'm grateful they are on the regular board.